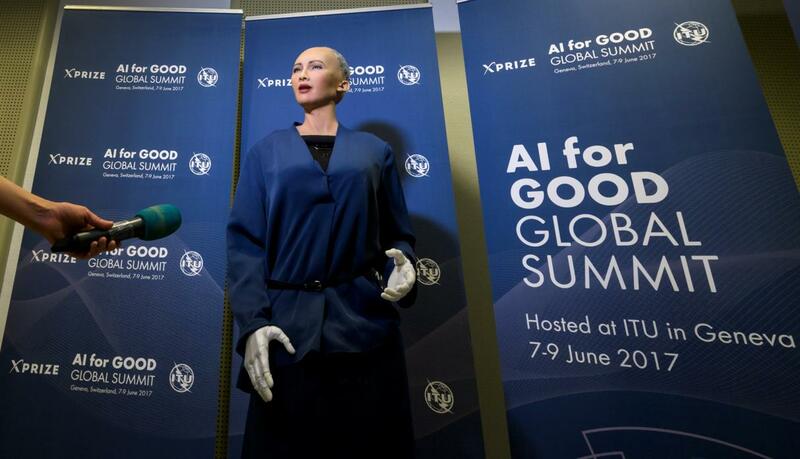 Hanson Robotics pushed artificial intelligence to the limit by getting Sophia, its newest robot, to obtain the citizenship of Saudi Arabia. Sophia is the latest and most advanced robot from Hanson Robotics. Sophia, is very far from what comes to mind when we think of a robot, it has been designed to look like Audrey Hepburn. It embodies its classic beauty: porcelain skin, slender nose, high cheekbones, an intriguing smile and deeply expressive eyes. Its creator is Dr. David Hanson, founder of Hanson Robotics and a man who has forged a worldwide reputation for creating incredibly human robots. After working at Disney as one of his “Imagineers,” Dr. Hanson aspired to create machines that were smarter than humans and that possessed creativity, empathy and compassion. It has also become a favorite of the media, conducting numerous interviews in multiple media, sang in a concert and even appeared on the cover of one of the leading fashion magazines. One of his interviews has generated billions of visits and interactions on social networks. It has also demonstrated its potential in business, having come face to face with the main decision makers in all industries, including banking, insurance, automobile manufacturing. Over time, your intelligence will increase and your story will enchant the world. The granting of the citizenship to Sophie was held during an event for investors in Saudi Arabia, the Future Investment Initiative Conference 2017.